Ann earned a Bachelor of Science degree in Environmental Science from the Evergreen State College and completed coursework and a thesis toward a Master of Science in Aquatic Ecology from the University of Washington’s School of Aquatic and Fisheries Sciences. Ann’s experience includes wetland delineations and ratings, shorelands management, fish, wildlife and marine assessments, negotiations and permitting, native plant selection, care and maintenance, ecological performance monitoring and scientific data analysis, mitigation banking and alternative mitigation programs. Ann lead the successful development of the In-Lieu Fee Program for Pierce County. 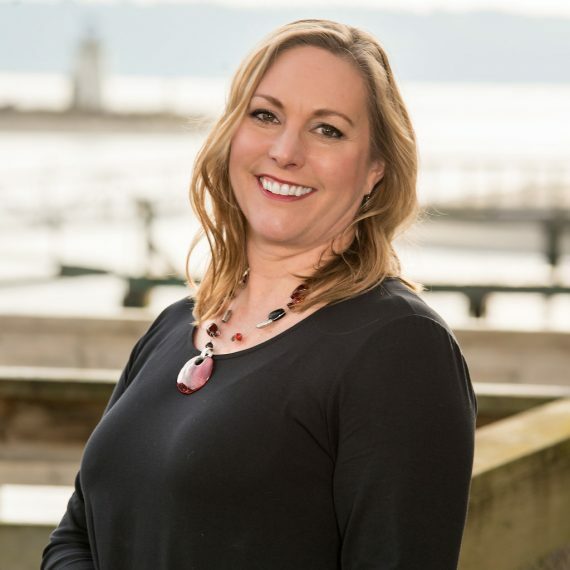 Ann Boeholt has over two decades of experience in aquatic resources management in western Washington, working within all levels of government. Ann began her career working two part-time positions with Mason County and with the US Fish and Wildlife Service. This experience led to a full-time position as a Wetland Biologist with the USFWS. Ann worked as a regional Wetland Specialist at the Washington State Department of Ecology and helped develop many of the wetland tools in use today in the State of Washington. Ann served an 8-month appointment as a Marine Habitat Biologist with the Washington Department of Fish and Wildlife, then worked as a Wetland Biologist and Project Manager for Pierce County Surface Water Management for over a decade. Ann joined Soundview Consultants LLC in July 2016. Her extensive experience includes wetland delineations and ratings, native plant selection and care, restoration design, maintenance, monitoring, and mitigation banking and In-Lieu Fee Programs. Ann enjoys teaching and collaborating with teams of engineers, planners, and other biologists to find solutions to design challenges. She believes that environmental constraints present opportunities for continuous improvement and innovative solutions. Ann focuses on customer service, restoring native plant and wildlife habitat, and creating places that provide livable communities. In her free time Ann enjoys windsurfing, mountain biking, and hiking with her husband and two children and being present for her children’s many activities.